1. After a major overhaul, would she still be Wonder Woman? 2. Would the fans accept these changes? And the answer to both, it seems, is a qualified yes. Wonder Woman has recently been changed quite a bit, and people largely seem to be enjoying it. DC comics continuity has become famous for being something of a patchwork quilt draped over a moving target. The writers and the publishers are continually taking things apart, stitching them back together, and rearranging things in order to appease and attract both new audiences and longtime fans. As a result, DC continuity has seen at least five “reboots” in the last thirty years (Crisis on Multiple Earths, Zero Hour, Infinite Crisis, Flashpoint/New 52, and Rebirth). And in the years since my original post, Wonder Woman has been “overhauled” or “retconned” (a comic term here meaning retro-active continuity) at least three times…. Or two. Again, it’s how you measure it. The Strazinski reboot that I mention in the previous article attempted to address many of my original points… and was met with hatred and scorn. Then Flashpoint/New 52 happened, and Wonder Woman found herself almost back to normal; but with a few twists, which were met with critical acclaim. Most of these changes were seen in the new movie, which despite my, uh, tangent, is what I’m supposed to be talking about. 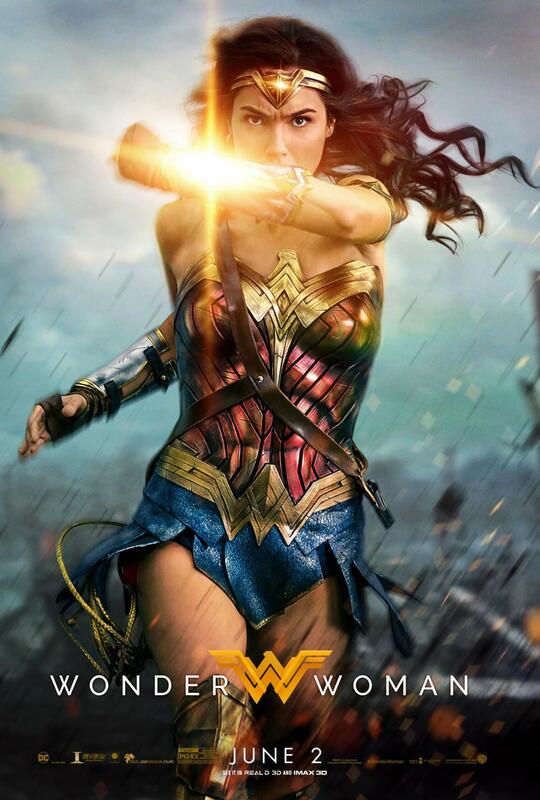 The film has succeeded in taking both new and old elements of Wonder Woman and fusing them in a way that works. And the current comic version of Diana is not far off from the one we see in the film. For a movie review, I understand I’m putting forth a lot of background information, but I want readers to understand that I went into this movie with two overriding concerns. The first was that Wonder Woman has traditionally been a difficult character to do well; the second was that despite Wonder Woman’s appearance being the best single moment of Batman v Superman, that film was overwhelmingly terrible. Man of Steel, while not nearly as terrible, still severely misinterpreted Superman and demonstrated the filmmakers' complete misunderstanding of what makes the character tick. And while Suicide Squad was fun, its lack of interior logic or believable motivations, combined with shoehorned world building, did little to reassure me that DC and WB knew what they were doing with their fledgling universe. Wonder Woman is the savior that DC/WB has been searching for. 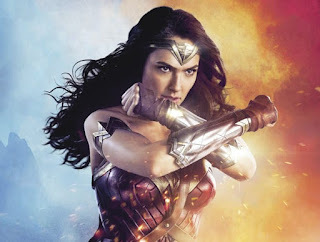 While far from a perfect film, it avoids many of the pitfalls of previous DCEU films, and sidesteps or merely ignores so many of the things that made Wonder Woman so difficult a character to write. dark, gloomy and CGI-riddled aesthetics. The film is bright and colorful, genuinely happy and funny at times, and surprisingly moving. Aside from the villains, the characters are well-written and acted, and their motivations are pure and clear. 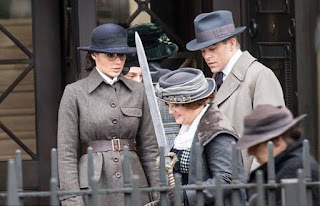 Despite all of this, Wonder Woman’s true success is its treatment of Diana as a character and a hero, and the film’s decision to address the “girl power” aspect by nearly ignoring it altogether. Diana has no chip on her shoulder about being a repressed woman. 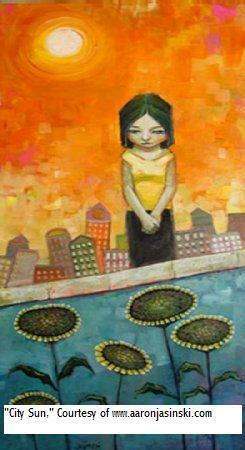 She’s not out to prove herself to anyone, and frankly wouldn’t even understand why a man might question her abilities. The film uses Diana’s background as strength. She isn’t bothered by sexism, because for her it doesn’t exist. And she’s often able to show her worth before it has a chance to reach her. That the film is able to do this while still taking place in a time period of reduced woman’s rights is even more extraordinary. I never felt that the film was trying to teach me that woman were equal to men, or preach to me about the evils of sexism. Instead, the film, much like Diana, seemed unaware that these were issues at all. They merely went about the business of telling the story of a hero, gender be damned. 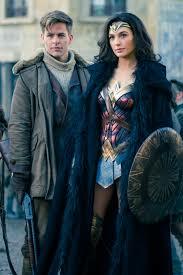 With the introduction of Steve Trevor and his romance with Diana, I was worried about how things would proceed. Diana is essentially this statuesque Greek goddess who comes very close to embodying the male fantasy--a naive virgin eager to learn about the world from the first man she meets. I was a little afraid the movie makers would feel compelled to make Steve the assertive one in the relationship, making Diana submissive, and then try to show this in some sort of love scene. Their relationship, however, is refreshingly even. They fall in love with each other for their own reasons. Traditional Steve was always kind of a jerk, I felt, kind of cocky. But this Steve is kind and always in awe of Diana. Their eventual love scene is handled with more class and respect than I've seen in a movie in ages (i.e., they don't show it). I really enjoyed how the film handled Steve Trevor. While he tried to protect Diana at first, he ends up kind of chasing her around trying to talk her out of stuff.... Just to end up watching her do it and then backing her up unconditionally. 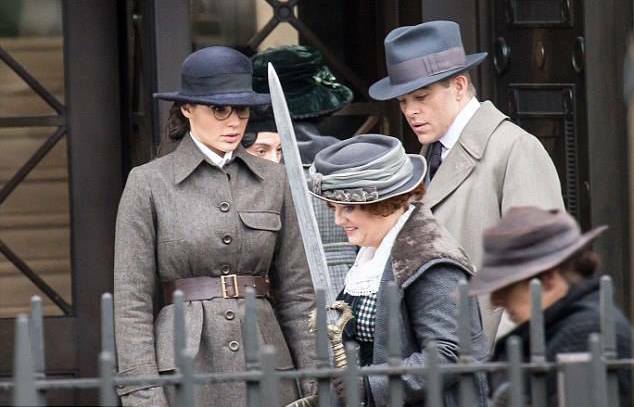 There is also an action scene at the midpoint of the movie, in which Diana first fully reveals herself as Wonder Woman, which is hands-down phenomenal. Not only was it everything I wanted from a Wonder Woman movie, it was everything I wanted from a Captain America movie. Wonder Woman’s theme music, an electric guitar and drum driven jungle rock riff, makes an impression as the best superhero theme in decades, and helps drive the action scenes expertly. As I mentioned, however, the film isn’t perfect. The use and quality of CGI in the film is glaringly inconsistent. While at times it seems to blend beautifully, at others it is so obvious and poorly done it nearly pulled me out of the film. 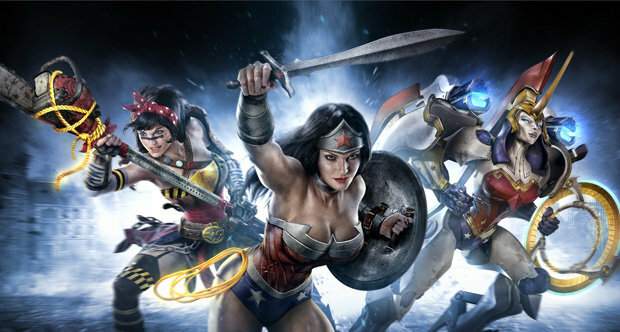 Diana’s powers and abilities, as well as Ares’, were equally inconsistent and ill-defined. While Diana’s new origin as a demi-god is from the comics, her powers of reflecting lightening, making a shock wave, and stopping bullets with some sort of invisible force field are all original to the film, and make little sense when thought about. And while Wonder Woman can fly in the comics, I left the film still unsure if she learned to fly or not. While these powers don’t necessarily bother me, the lack of any explanation does. After my first viewing, I honestly considered the possibility that Wonder Woman may be the best superhero film I’d seen. However, after some thought I realized I was simply so relieved that the film was decent, and that the character was presented in a way truthful to the spirit of the source material, that I was giving the film a little more credit than it was probably due. In the end, Wonder Woman is a decent, and maybe even great superhero movie. And it may have been the shot in the arm the DC movie universe needed. But the film’s real success is found in its treatment of the main character not as an empowered woman but as a hero and, despite her origins, a human being.